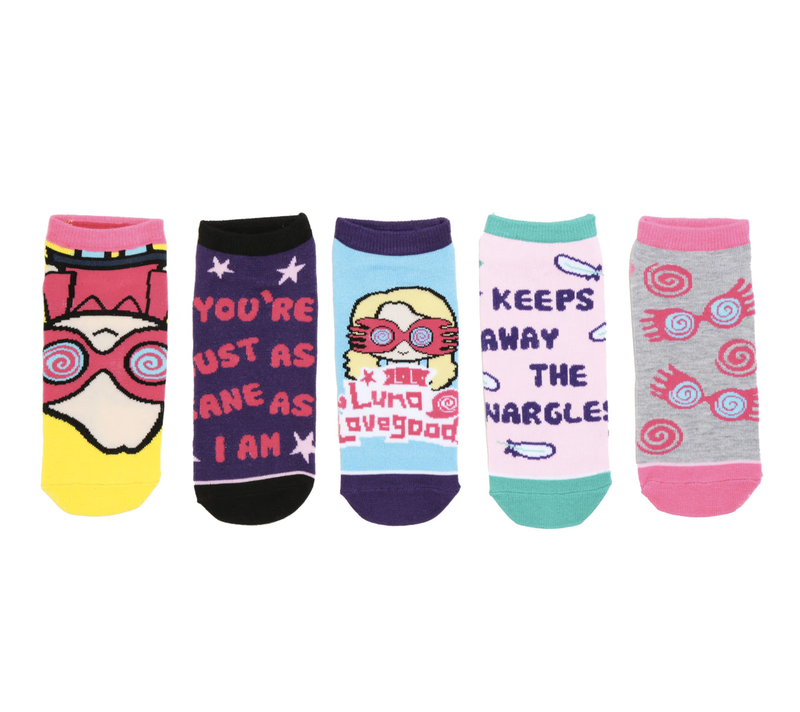 Spectrespecs, thestrals, "radish" earrings, and all things Luna Lovegood. 1. A copy of Fantastic Beasts and Where to Find Them (although sadly, it doesn't say where you can find a crumple-horned snorkack). Get it from Amazon for $9.80, Barnes & Noble for $10.49, or a local bookseller through IndieBound here. 2. A pair of Spectrespecs, in case you lost the free pair from your Quibbler issue. Get it from HedoniTime on Etsy for $7+ (available in two sizes) or something similar from Amazon for $12.95. 3. A trio of magical creature busts to fill your study while you monitor the migration habits of local jobberknolls. Luckily, no magical beasts were harmed in the making of this adorable home decor! You get Buckbeak the hippogriff, Padfoot aka "The Grim," and a thestral. Get them from missnessamonster on Etsy for $140 (or get the thestral or hippogriff alone). 4. A tube of unicorn snot lip gloss because your lips get chapped on those long journeys to discover new magical species. 5. A delicate Spectrespec necklace to keep the wrackspurts out of your head. Get it from Gadget4Entertainment on Etsy for $17.04 (also available as a bracelet). 6. A delightful pair of earrings you'll find completely radishing. Get them from AKFlowerBoutique on Etsy for $24.34. 7. Orr an acrylic option because all Lovegood enthusiasts know that more glitter is more. Get them from allofthethingsNYC on Etsy for $22.46 (available in two finishes). 8. A subscription to Lunarly for a regular shipment of plants, crystals, and all things mystical. 9. A giant unicorn head that's about to be your go-to special event hat. 10. A patterned blouse so you can look spellbinding. Get it from Torrid for $48.90 (available in sizes M–6XL). 11. A Monster Book of Monsters plush toy that has a cover only Luna could love. 12. A charming bunny pin honoring one of the best Patronuses out there. 13. A beautiful candle and fancy matches that will have you over the moon. Get the candle for $26 and the matches for $20 from Anthropologie. 14. A replica skater dress you can pair with a pink peacoat and blue leggings. Get it from 1138Clothing on Etsy for $200+ (available in sizes 2–14). 15. A jackalope enamel pin that blends two of Luna's interests: mythical creatures and rabbits. Get it from momogojira on Etsy for $12.17. 16. A flashy backpack perfect for storing snacks while riding the Hogwarts Express. Get it from Boxlunch for $63.92, or Amazon or Danielle Nicole for $78. 17. A pastel stationery card sure to bring back snail mail. Get it from Magnta for $15.99 (available in sets of 3, 5, or 10). 18. A lion hat enamel pin to bust out for the next Slytherin/Gryffindor match. Get it from MerlissasMenagerie on Etsy for $12+ (available in three styles). 19. A unicorn crown — that's a little more subdued than the one Luna wore to her wedding — for you know, casual days. Get it from LittleLadyAccessory on Etsy for $30+ (available in four sizes) or something similar from Amazon for $9.99 (available in 18 styles). 20. A billowing moon kimono quirky enough for Luna but fashionable enough to avoid a scathing review from Rita Skeeter. 21. A butterbeer cork necklace that will finally keep those darn nargles away. Get it from KesaliCreationsShop on Etsy for $15 (available in two cord colors, with or without the owl charm). 22. A set of ankle socks repping Luna and her house. 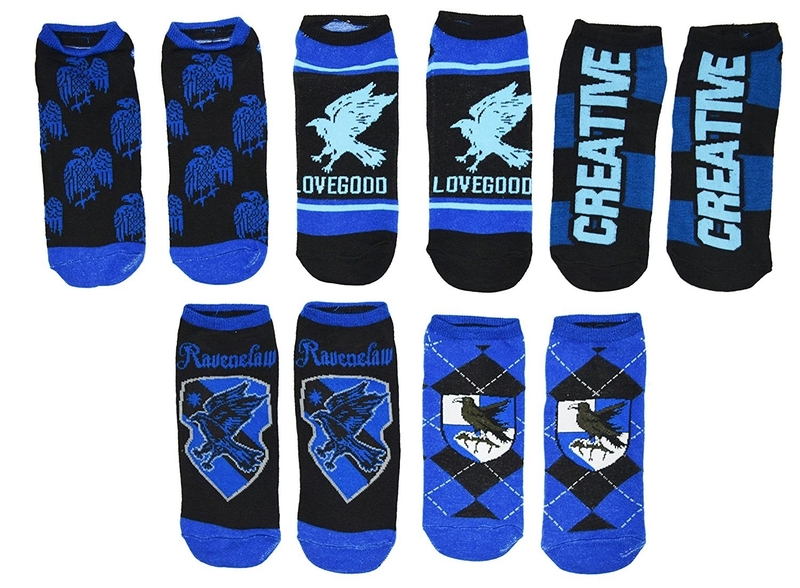 Get five pairs of Ravenclaw socks from Amazon for $15.95 or five pairs of Luna socks from Hot Topic for $11.92. 23. A Luna Lovegood print to proudly display on your wall of charming art. Get it from taryndraws on Society6 for $20.99+ (available in three sizes). 24. A Snitch necklace to wear while doing a very bad job of commentating a Quidditch game. 25. A phone case with some wise words that are a great ~call~ back. Get it from WEAREYAWN on Society6 for $35.99 (available in two styles and compatible with 19 phones). 26. A pair of glittery sneakers you'll love — if you can keep track of them. Get them from H&M for $14.99 (available in sizes 7.5–13). 27. A Fantastic Beasts laptop cover sure to keep your computer so safe it'll seem like magic. There are some add-ons, like handles, pockets, and initials. Get it from BOOKyourCASE on Etsy for $39.99+ (compatible with most laptops). 28. A dirigible plum bath bomb that comes with a Harry Potter-themed charm inside. It's a fruity bomb that smells like plums, cherries, strawberries, and oranges, with some notes of clove, cinnamon, sandalwood, black pepper, and eucalyptus. Get it from MadeByMagicCreations on Etsy for $5. 29. And a very well accessorized bunny pin for a hare-raising new look. Get it from byCelestialFox on Etsy for $10.33.